Bachat Wetting and Spreading Agent provided by us is an excellent and highly efficacious non ionic wetting and spreading agent based on Alkyl Benzene Sulfonate. It is used in agricultural applications, thus, enhancing the efficacy of pesticidal sprays by increasing waiting power, improving distribution, increasing fluidity, increasing adhesive power, promoting quick drying, and helping in penetration. 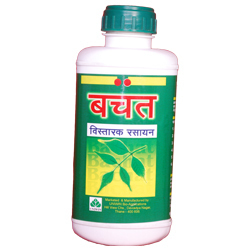 Bachat Wetting and Spreading Agent are provided by us at industry leading prices.